Download Clean Business Card Mockup Free PSD. 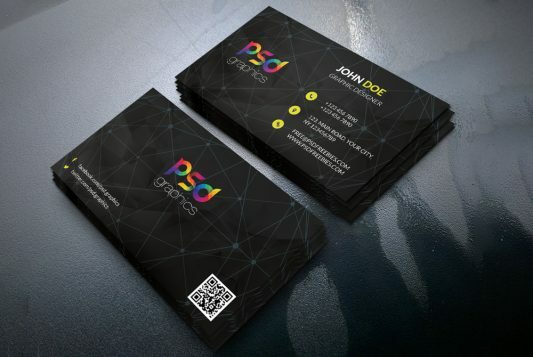 This is excellent photorealistic Clean Business Card Mockup PSD which you can use for your creative business card design presentation project. Quick mockup of standard dimensions in clean modern environment. This Clean Business Card Mockup Free PSD is going to be very useful for your PSD mockups collection as well. Free Business card mock-up is based on smart objects. You can easily place your design, change background color easily. If you like you can download this Clean Business Card Mockup and use freely. 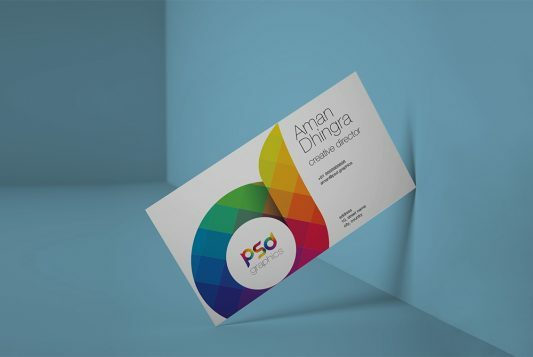 Hope Business Card Mockup PSD will help you benefit your project as well. Hope you like it. Enjoy! Download Wall Poster Frame Mockup Free PSD. 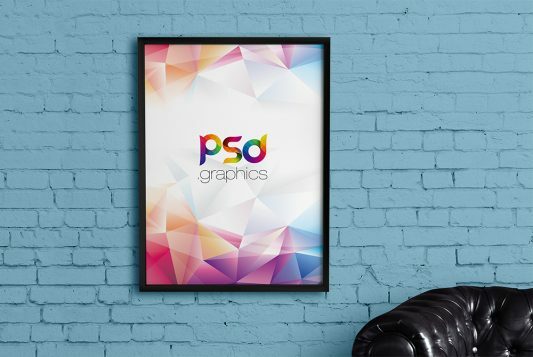 If you need to present your Poster design work in the flattering way possible in order to catch people and client attention you can use this Wall Poster Frame Mockup Free PSD which is best for any graphic designer who wants to showcase their poster design work in a realistic environment. With this customizable Wall Poster Frame Mockup PSD file you can easily replace your poster artwork using smart object in few second. You can also change the color of wall also to match your design color scheme. Hope you like it. Enjoy! 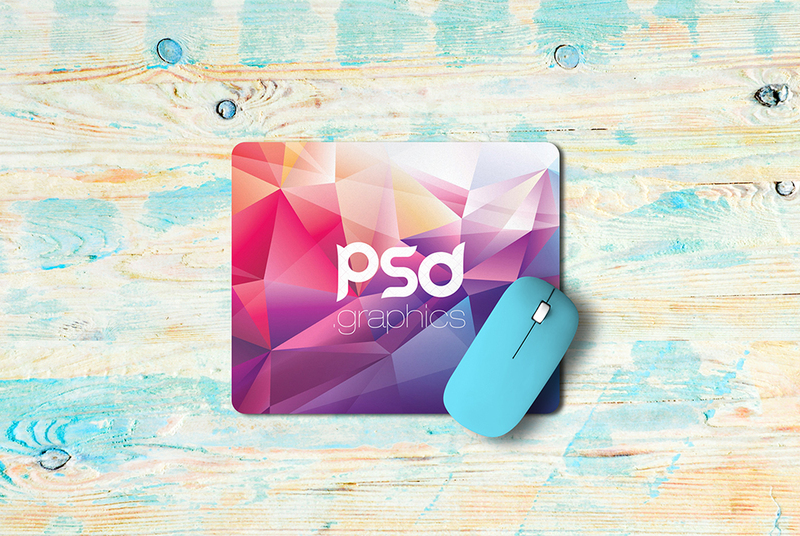 Download Mouse Pad Mockup Free PSD. 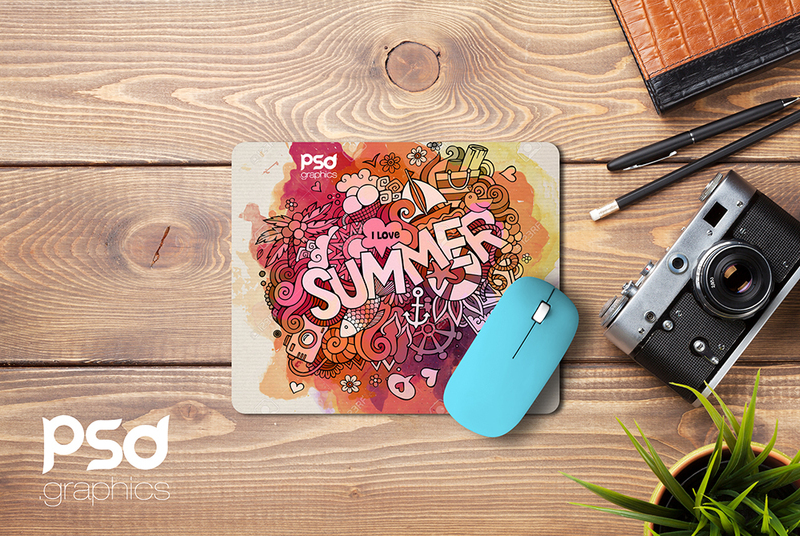 This stunning free mouse pad mockup PSD allows you to showcase your mouse pad art work in style. This Mouse Pad Mockup Free PSD comes with well-organized layered psd and provide smart object layer for changing your mouse pad design easily. Using smart object layer you can quickly insert your own mouse pad artwork and background and color of the mouse pad with just a few mouse clicks. This is must have mockup for every graphic designer who want to present their stunning mouse pad artwork. Using this Free PSD mockup, you can also promote your brand or products in an interesting manner. Hope you like it. Enjoy! 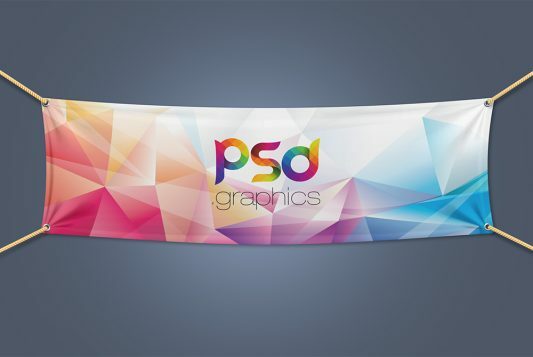 Download Textile Fabric Banner Mockup Free PSD. A great banner mockup psd for outdoor advertisement, Fresh and Authentic Mockup Designs gives your banner artwork a fresh and unique look. Textile Banner Mockup Free PSD is very easy to customise which will help you to showcase your own banner design in seconds. You can download this mockup to add the highlights of the event on the banners that will attract more audience. Just replace your design using the smart layer, then change your banner design and color and adjust it according to your needs. Use Textile Fabric Banner Mockup Free PSD to give your clients a realistic view of the banner designs related to the outdoor advertisement. 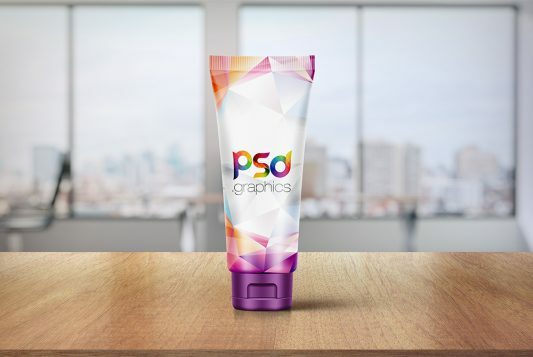 Using this PSD mockup, you can easily promote your brand or products in an interesting manner. Hope you like it. Enjoy! Download T-Shirt Box Packaging Mockup Free-PSD. Yet another Free T-shirt Mockup Template PSD for you to download. 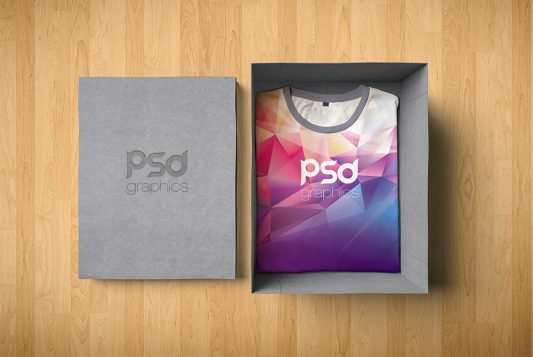 Use this original T-Shirt Box Packaging Mockup Free PSD to demonstrate your project’s final result with ease. Now with good graphic work and design ideas, you can start your own t-shirt brand or showcase your design in matter of few minutes. This realistic T-Shirt Box Packaging Mockup Free PSD allows you to showcase your t-shirt designs in style. Just replace your design using the smart layer, then change your t-shirt design and color and adjust it according to your needs. This T-Shirt Box Packaging Mockup PSD also have box packaging mockup on which you showcase your brand logo. It is easy to work on, and you can effortlessly add your designs to the mockup in few minutes. Hope you like it. Enjoy! 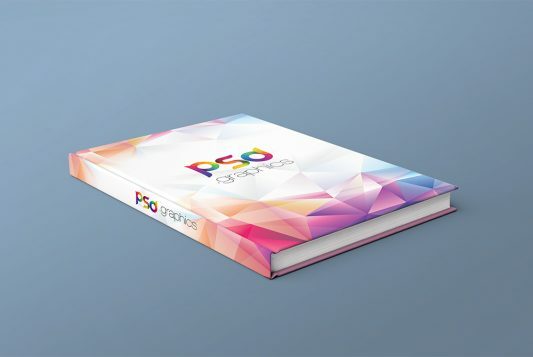 Download Book Cover Free PSD Mockup Template. This photorealistic book cover free PSD mockup in prospective view on a plane background is great to showcase your front book cover design in style. The book, background are placed on separate layers so you can easily change and customize or make other adjustments according to your needs. Book Cover Free PSD Mockup Template is based on smart objects. Just Use the smart layer to replace your Book cover design. This free Book Cover PSD Mockup Template will help you showcasing you Book Cover Template design in professional way. This Freebie can be very useful for your PSD mockups collection as well. Hope you like it. Enjoy!